Jane’s exciting new career at Cape Canaveral suddenly threatens her life as a woman. As Jane embarked upon the most exciting adventure of her career, she was forced to postpone her marriage to handsome Jeff Wallace. 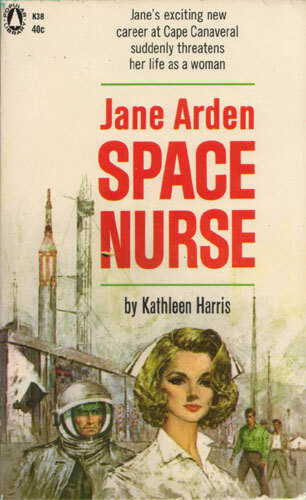 Jane had no way of foreseeing the personal crisis that would confront her as a “space nurse.” Nor could she have anticipated the lasting impact of the two attractive astronauts she met at Cape Canaveral. Fascinating Clyde McLaren, a strong candidate for the moon shot, was brilliant and quite friendly. Or did he want more than friendship? And what of the dashing continental Lieutenant who made it clear that he was more than interested in her? Just where did his interest lie?